Representatives Mike Doyle (PA) and Chris Smith (NJ) founded and Co-Chair the Coalition for Autism Research and Education (“CARE” or “Autism Caucus”), the first-ever Congressional Membership Organization dedicated to autism advocacy on Capitol Hill. The bipartisan Autism Caucus has over 180 Representatives and Senators from over 40 states. Encourage your Representative to be an active member of this Caucus. 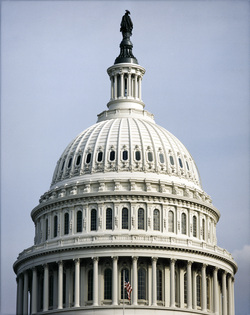 Is your Representative a member of the Autism Caucus? To find out, Click here. To learn about the Autism Caucus, Click here. Congressman Mike Doyle (PA), Co-Chair of the Autism Caucus in Congress, supporting the AUTISM Educators Act (H.R. 5195). Joined by the bill's chief sponsor Congressman Jim Moran (VA) and by local students, families and educators.